Location: The Church Of Jesus Christ of Latter Day Saints, 4560 Padgett Road, White Plains. ​Details: A magical thing will happen when your child joins the Children’s Voices of Southern Maryland. They will come because they like to sing. But they will stay because they will gain so much more. Children flourish when they become choristers. Their confidence increases. Their ability to work in a group improves. Even their study habits and grades get better. But the best thing of all is that they love it. Date: APRIL 26TH—6PM, APRIL 27TH-1PM & 6PM AND APRIL 28TH-1PM. Details: Chopticon Theatre and Brave House Productions presents The Hunchback of Notre Dame. 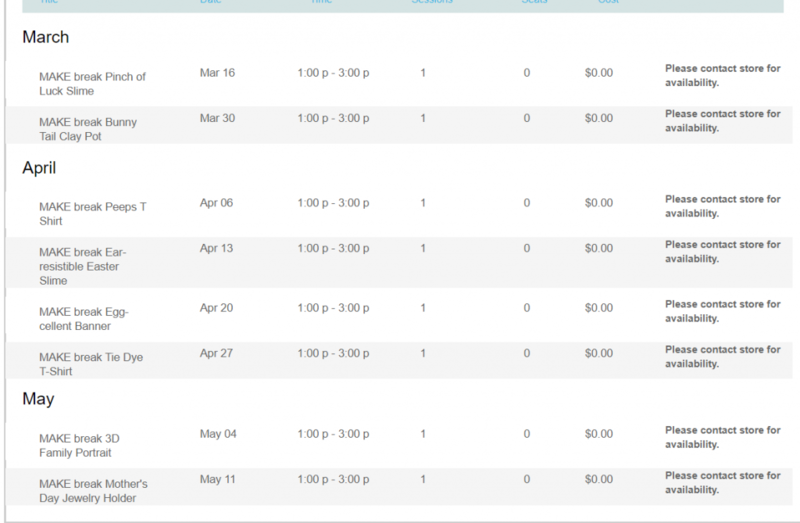 Come see a broadway show, locally! You will not want to miss this show. Details: Rounding out the spring play season is La Plata High School with “Cabaret” the weekend of April 25-27. The plot sets stage in Germany during the early 1930s when the Nazi party begins to build political power. The play follows its main characters at a Berlin nightclub called the Kit Kat Club, and their struggles to find love during times of growing conflict. The musical is rated PG-13 and includes themes not recommended for a younger audience. Show times are April 25-27 at 6:30 p.m. with a 2:30 p.m. show on April 27. Cost: Tickets are $10 for adults and $5 for students. CCPS employees receive free admission by showing their identification badge. Call 301-934-1100 for more information. Details: Join us on Saturday, April 27, 2019, from 10 am—12 noon at the new SPACE 2 CRE8 art studio located in historic Leonardtown, Maryland—a Maryland arts and entertainment district. This make & take beginner's workshop will open your eyes to the colorful world of working with rich, traditional glass known as Smalti. You will learn how to use it to create beautiful—and functional—pieces of art. No artistic experience is necessary. Details: April 27, 2019 will mark the 41st year for the oldest Celtic celebration in Maryland. Chosen in 2000 by Congressman Steny Hoyer to represent Southern Maryland in the national “Local Legacy” project of the Library of Congress’ bicentennial celebration, the Southern Maryland Celtic Festival and Highland Gathering highlights the heritage of the Breton, Cornish, Irish, Manx, Scots, and Welsh. Details: Enjoy a fun craft provided by Michael's Craft store. Details: Join us for more spring themed stories! 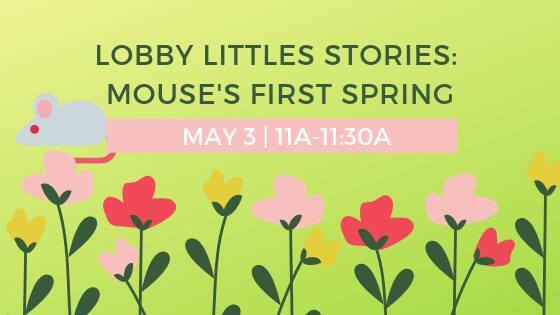 We will be reading “Mouse’s First Spring” by Lauren Thompson. In addition to story time, we will do a group craft making paper flowers and games. Age Group: This event is open to anyone but is best suited for littles ages 1-5 years old.